This year my family and I visited Italy for the first time; we also were visiting one of my 2004 Silva bay boat school students, who is from and lives on the Island called Sardinia. He and his family live in the city of Alghero on the upper west coast of Sardinia, which has a population of about 40,000, and is a beautiful historic place established in the 12th century. Our trip was for two months, visiting Italy and Europe. It was also an opportunity to explore my passion for marine history and contemporary boat yards, as well as taking my ex student up on his request for some assistance on various boat repair projects he had been commissioned to complete. 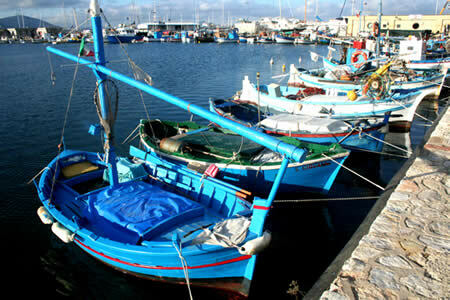 The boat I helped him with was a 40 year old, motorized, 43 ft, former Mediterranean fishing boat. 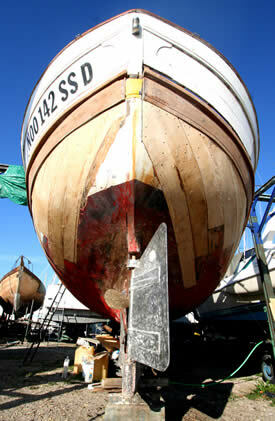 The wooden carvel hull is planked in yellow pine and is fastened with iron nails onto sawn oak frames. 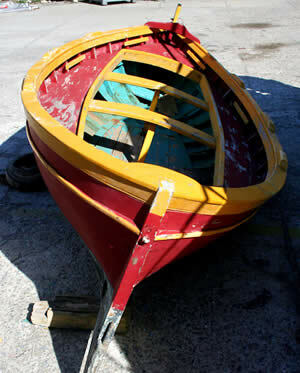 This boat and almost all Mediterranean fish boats are typically built with a canoe stern, which is where the repairs had to be carried out. There were about 5 to 6 planks on each side where the ends were rotten, which we replaced about 5 to 10 feet a-new. 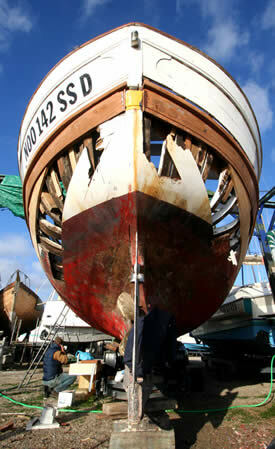 The damage came from fresh water leaking through the aft deck which, because of poor ventilation, caused rot to occur. Along with some planking ends, the deck beams, several frames, and some of the wooden decking had serious rot with fastening decay. This type of planking repair can be some of the hardest to do; each plank must take a sharp compound bend at the aft canoes stem and because the planks are not long lengths like the originals, leverage that can help with bending is a luxury and not the standard in these repairs. One thing that is interesting in this planking method is that when the planks are laying flat they are almost entirely straight, not like many other boats I have worked on when the plank is flat it can look like a banana. 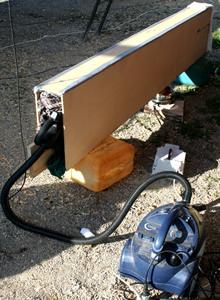 This method of the canoe stern looks great and with the straight planks can certainly save a lot of material and have virtually no grain run out. After we spiled (took a pattern) for the plank, we cut and shaped by backing out the new plank and cut a slight bevel for caulking (not much though, as the hull shape in this area is providing most of the bevel we need). The new planking is 1 inch yellow pine that is steamed for about an hour before screwing onto the frames with stainless steel screws. The yellow pine was good to work with; it holds the screw well when attached to the frame, allowing us to bend the other end into position without fear of the screws breaking through, compared to “red cedar” a planking wood I am familiar with that is great for its low weight, longitudinal strength, and tremendous rot resistance, but it can split quite easily and doesn’t hold fastenings very well if it’s forced into position and has to depend on the screws to hold it in place. Between stints of working on the boat the family and I traveled around Sardinia and other parts of Italy and I found many interests in every coastal community we visited. 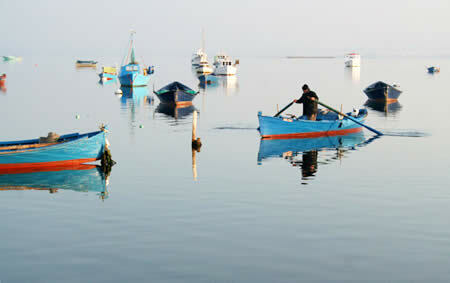 Sardinia is a water bound part of Italy, with an essential link to the Mediterranean Sea through fishing and travel. 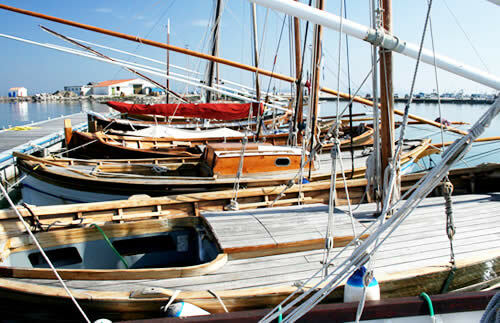 Gracing every marina on the coastline of Sardinia is usually one or more traditional lateen rigged sail boats averaging around 6 meters in length. These boats are usually built only for pleasure and competition now, but were once the work horses of the coast. 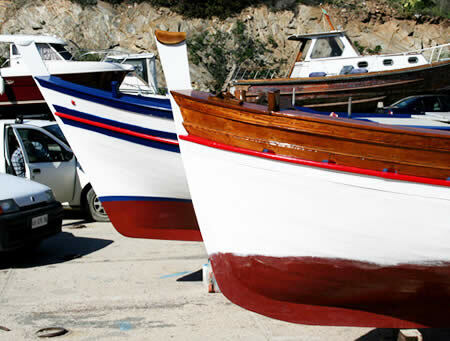 The construction method and style is typical of wooden boats built throughout the Mediterranean, with 90% of the boats built being carvel construction with sawn frames. 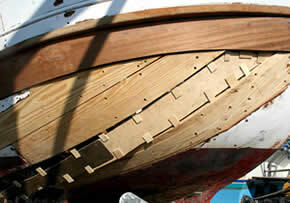 Clinker planking and steamed frames are considered to be a northern European method. There are also distinct differences between countries and within those counties each region has certain characteristics, making them again noticeably different. Within every marina of Sardinia there are many of these lateen sail boats and they might look the same from a distance but when up close it is possible to tell from what area of Sardinia they originate. We have complacency for wood because of its abundance; we forget how people in places that don’t have this wealth of wood will see things from a completely different direction. Trees in Italy, like the olive tree or indigenous oaks can take hundreds of years to look like a mature tree, and then they grow all twisted and are not really big enough for planking a boat. 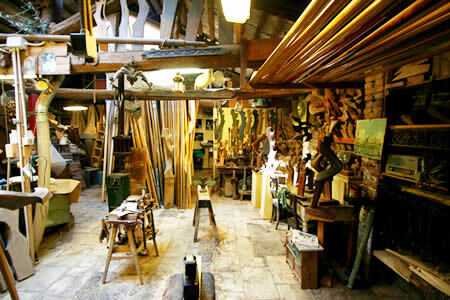 When a boat is built out of wood in Italy, the wood is a foreign commodity and appreciated for its impermanent life span. 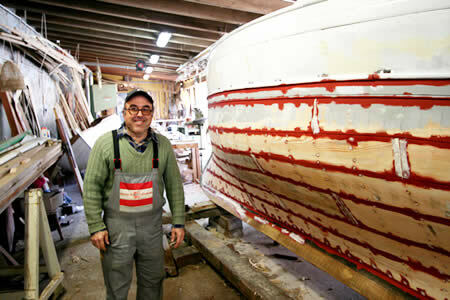 The Italian shipwrights build their boats with precision, strength and especially heavily built, if not over built. An observation has led me to believe it would be ludicrous to build something that might only last twenty to forty years. How could they build like that when they live in cities that are over three thousand years old? Or perhaps because building drawings or scantling information is not readily available and there is a misunderstanding of wood’s strength so things are generally over built. 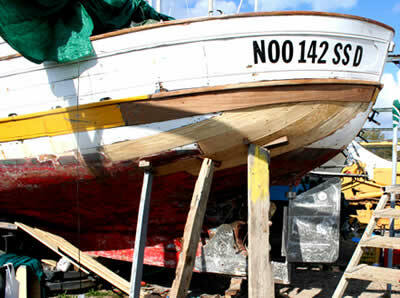 Or maybe there is a tendency to over build because some boatbuilders have received their knowledge by watching and doing and when reproducing a boat, they would just copy another, again without knowing the wood’s limitations. Even an eight foot row boat is built with incredibly heavy scantlings and it may take four people to carry it, but it will be around for a long time. I was impressed with the quality of work and enjoyed seeing the building techniques of those wooden boats. It was interesting to observe that some of the techniques we use in North America, we inherited from Italy, and the Mediterranean, which has a history in traditional boatbuilding that goes back over five thousand years. 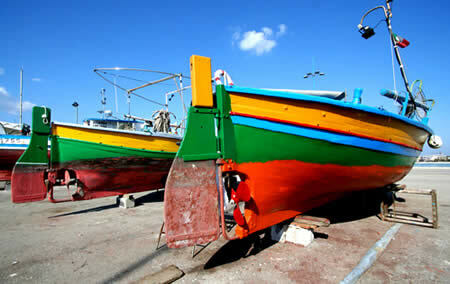 Unfortunately in Italy and along with the rest of the world, building traditional wooden boats is a dying art. In many of the coastal towns I visited there are usually only one or two shipwrights left, down from ten or more over the last twenty years with a steady decline every year. 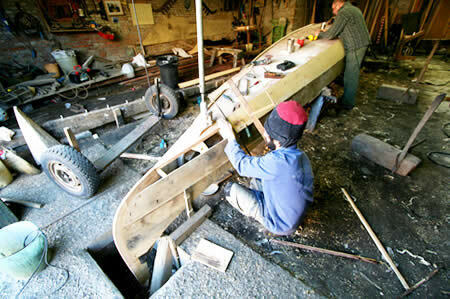 These shipwrights might still practise the trade by building new boats but most of their work is restoring and repairs. There are a few young romantics who are trying to learn from these few almost retired shipwrights and will hopefully stick it out with what I call getting over the hump, meaning there will be lean times causing doubt over pursuing the industry but if they stay with it and continue learning no matter the hardships, they will one day be sought after for no one else can accomplish what they are learning. In Alghero, they have one of the largest marinas in the Mediterranean and have plans to double her size over the next few years. 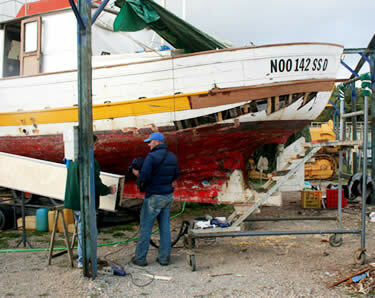 As for my ex student he plans to stick with boat repairs and hopes to make it his life career in Alghero. If he does he will be replacing one of three retiring shipwrights and from what I’ve seen, he will have no shortage of work. As for me, I have been working on boats since 1980 and find it incredibly inspiring to discover new ideas and will hopefully continue traveling around the world seeing how wooden boats are and have been built in foreign countries. I enjoy the fact that every time I look at another boat I find new innovating ideas and a link to our maritime past left behind in a trail of clues from the original and remaining boat builders. Any questions or comments please contact me at tonygrove@live.com.